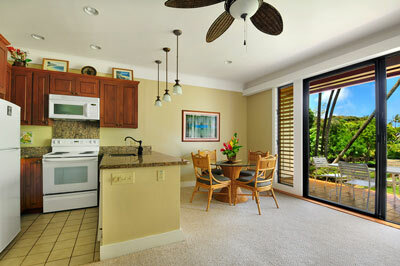 Learn more about the Kiahuna Plantation Resort amenities and our condo amenities. 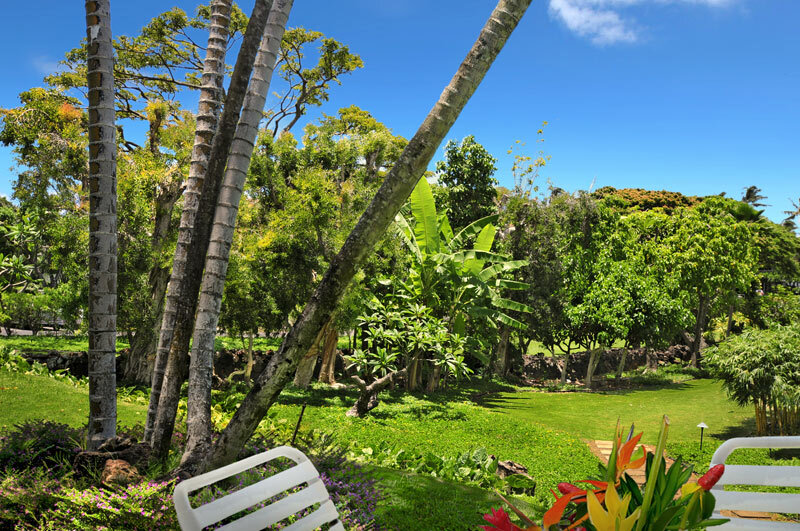 Our ground level lanai view is perfectly situated for a view of the expansive gardens. Our condo living room offers a brand new queen size fold-out bed with separate closet and drawers for additional guests. A TV, VCR, DVD and CD player are all available for your entertainment enjoyment. DVDs and videos can be checked-out at the front desk. You will also enjoy free Wi-Fi access while in Kiahuna Plantation. Our vacation condo accommodates 4 people comfortably. Newly remodeled open kitchen area with granite countertops and designer fixtures. The condo has a fully stocked kitchen with everything you need for cooking and serving meals. 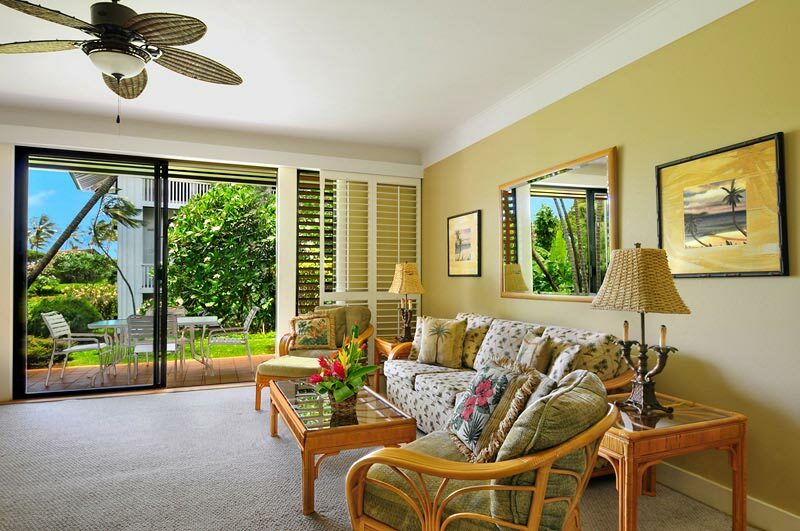 Our location and the plantation shutters allow the outside in. Our unit has a 4 person patio dining set on the lanai. 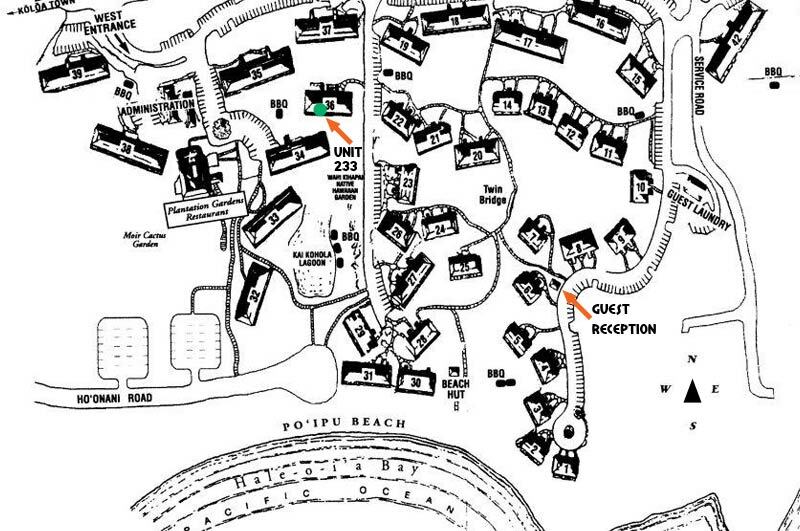 BBQ's are available steps away under the wonderful Banyan tree and there is also a picnic and BBQ area along the Lagoon. There are usually Blue Heron fishing nearby. Email and Internet access is important to many travelers. 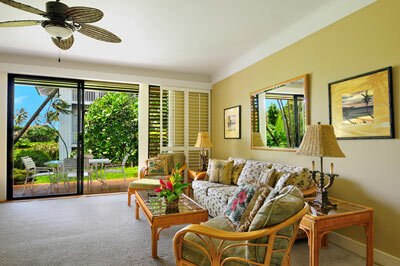 We are happy to be able to offer Free WiFi inside the condo and throughout the resort. 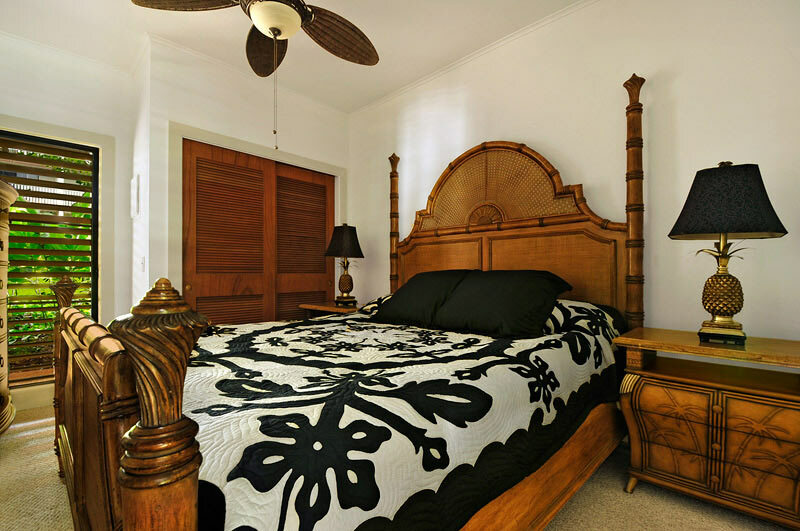 New Tommy Bahama Master bedroom has a full size King bed with it's own T.V. and VCR. and DVD players. There is also a wonderful ceiling fan in the master. Granite tub surround and vanity countertops adds to the new luxurious feeling in unit #233.